Our next meeting is scheduled for Saturday, April 15th. We are delighted to have Lori Miranda presenting Picture This: Family Photos and Other Piles, and What I’ve Learned. Lori lives in Fernandina Beach where she is an architect and partner with her husband in their architectural firm. 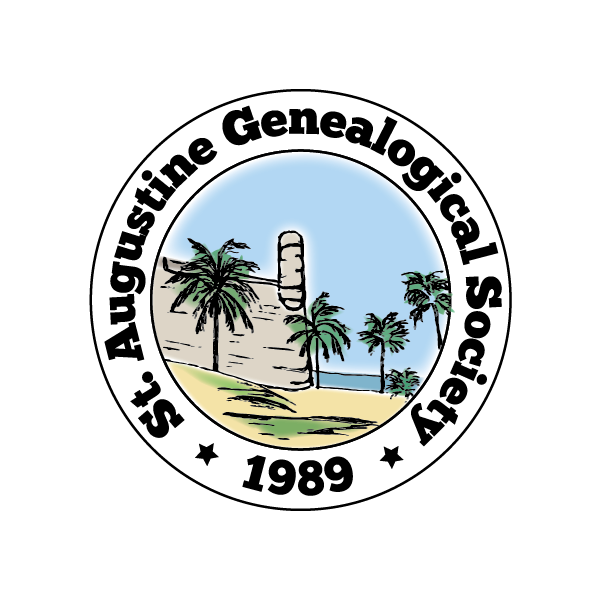 She is also a board member with the Amelia Island Genealogical Society and and a well-known speaker in this area. A genealogist may run into several different types of photo collections during research, each with its own set of pros and cons. “Picture This” is an introduction to the issues of which family historians should be aware when coming across such images. The presentation will include an outline of the history of photography, different types of photographs, dating photos, analyzing images for clues, caring for these objects, and strategies to “make it rain.” In addition, today’s technology can be a boon to sharing images and teasing out details of ancestors’ lives, but it can come at a cost to future generations. Having exposure to the various ways of dealing with family collections can help the genealogist make appropriate decisions for how to process a stash. Our April short course will begin after the speaker’s Q&A and a short break. This month’s subject is Automating Your Searches With Google Alerts. Learn how to create and save a search which Google will then run repeatedly on a schedule you determine. When results are discovered, Google will automatically notify you. Join us on Saturday, April 15th, at the Southeast Branch Library located at 6670 US 1 South, St. Augustine, FL 32086. Check-in begins at 12:45pm and the meeting starts at 1:oopm. Society meetings are free and open to the public.